We are going to celebrate the beginning of Spring the best way I know how, with food! Spring Egg Cups highlight one of my favorite spring foods, asparagus. Also, breakfast for dinner always is a hit at my house. Now don’t get the wrong idea, you know my kids are not about to eat mushrooms and asparagus, and that is not a battle that I am going to fight. Instead I will make a few egg cups that are just egg and cheese- for my picky little eaters. Serve this with fresh fruit (strawberries, grapes, blueberries- whatever is on sale), and pan fried hash browns. 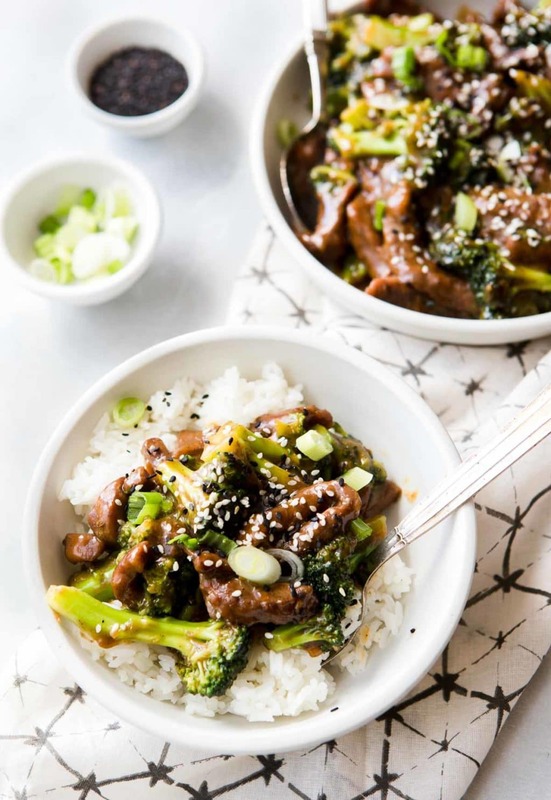 I am so excited to try this Instant Pot Beef and Broccoli recipe from my friend Andrea at Howe We Live. 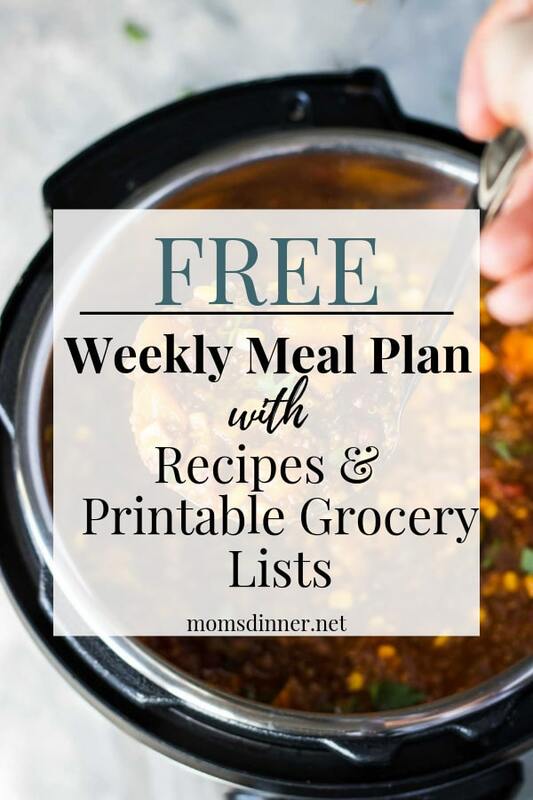 She makes amazing (healthy) recipes and I know this one is going to be SO good! She even includes an interesting tip in the post for tenderizing (cheaper cuts) of beef. Serve this with white, brown, basmati, or cauliflower rice, or even quinoa for a little extra protein. 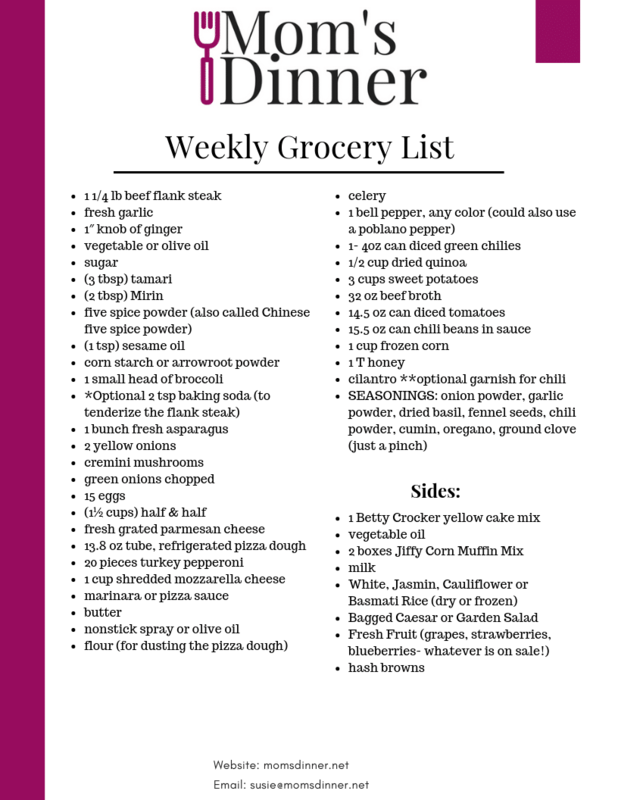 The kid’s fave- Pizza Roll Ups make the menu this week, for my sanity! Serve these with a side salad or caesar salad. 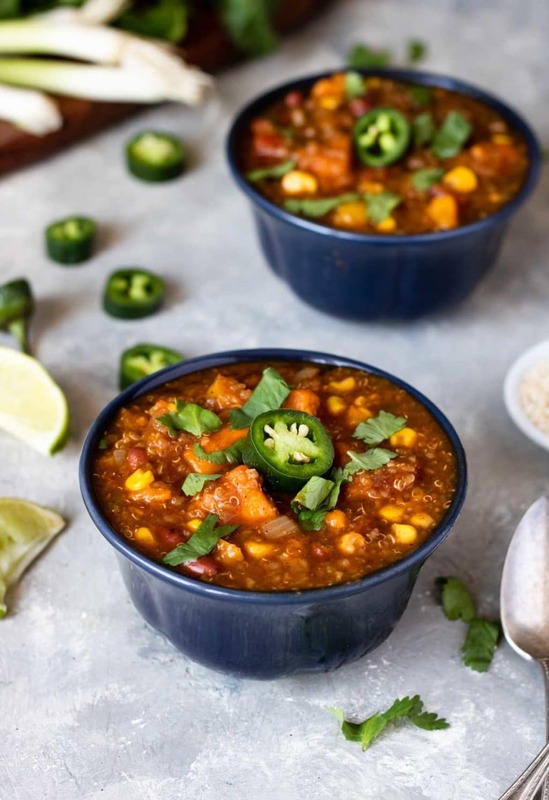 You know I had to include the new Quinoa Sweet Potato Chili recipe in the menu for the week! This is a great Spring time chili since it is a little lighter than a traditional chili. Serve this with, you guessed it, Best Ever Cornbread (or Indulgent Cinnamon Buns, if you like cinnamon rolls with your chili!). 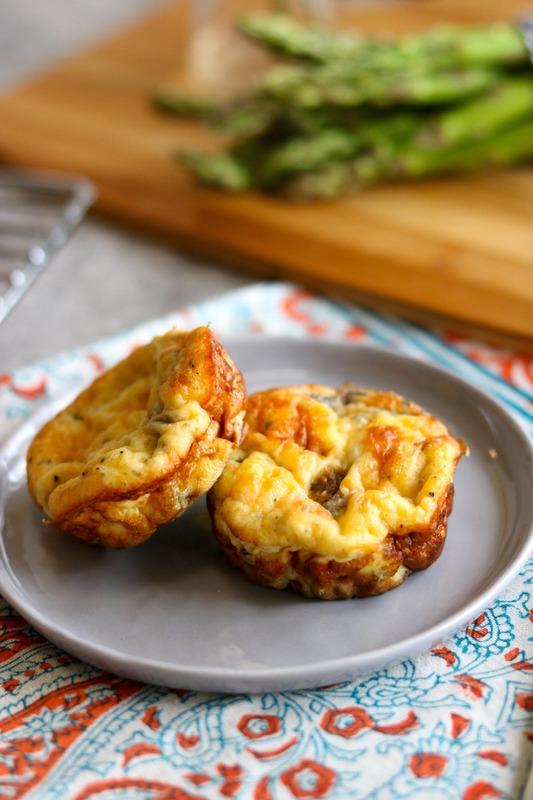 Chop up leftover egg cups, warm them up in a flour tortilla topped with cheese. Breakfast burritos are on the menu tonight! Love hot dogs? (I totally do)…. Top your hot dogs with a little quinoa sweet potato chili, cheese, and some jalapenos for Chili Dogs. If you only have a little beef and broccoli left, bulk it up with some extra stir fry veggies (frozen or fresh). 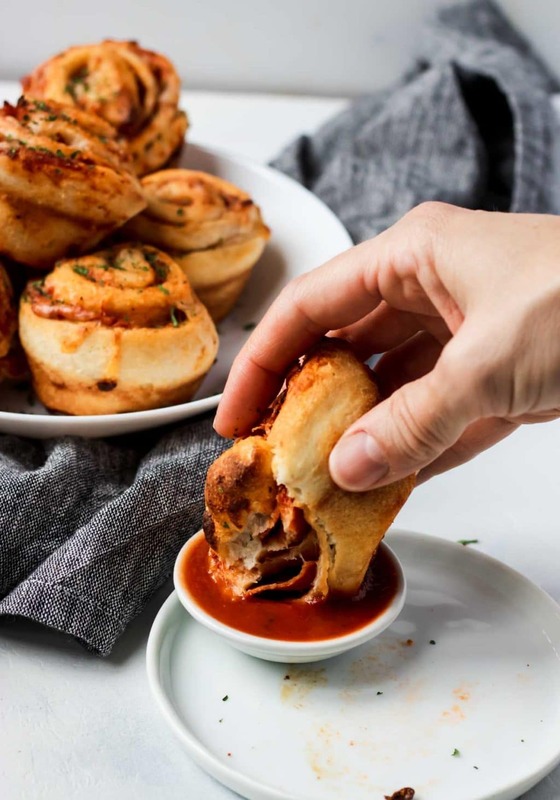 Who doesn’t love leftover pizza- no re-do required there! BUT I will tell you they make an amazing school/sack lunch.